Innovative work in advancing sustainability engineering education has earned Arizona State University engineer Amy E. Landis a Carnegie Science Award. The awards are given by the Carnegie Science Center in Pittsburgh “to recognize and promote innovation in science and technology.” Landis shares the award with Melissa Bilec, an assistant professor in the Swanson School of Engineering at the University of Pittsburgh. Landis was a faculty member at the University of Pittsburgh from 2007 until this year, when she joined ASU as an associate professor in the School of Sustainable Engineering and the Built Environment, one of the university’s Ira A. Fulton Schools of Engineering. In the past several years Landis has developed research and community outreach programs in sustainable engineering, as well as four new sustainability courses. She has won four educational excellence awards and drawn more than $750,000 to support her work in creating education programs designed to promote engineering innovation. 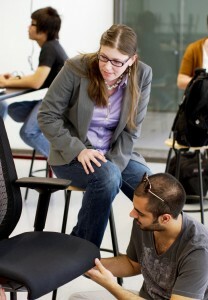 Landis’ success led her to be selected to participate in the 2011 National Academy of Engineering Frontiers in Engineering Education Symposium. She will be presented the Carnegie award at a formal celebration at Carnegie Music Hall on May 11. Landis and Bilec also earned an honorable mention award from the Carnegie Science Center a year ago for their collaborative work as university and post-secondary educators. 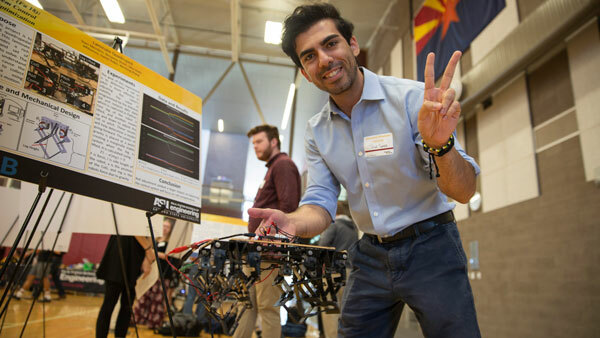 Opportunities for innovation and cross-discipline collaboration are what attracted Landis to ASU. She also likes that undergraduates are encouraged to delve into research as early as possible. Landis focuses on devising hands-on, interactive methods for teaching sustainability principals. For instance, she has students deconstruct a chair as a way of exploring the sustainable aspects of the materials used to make the chair, the energy expended in the manufacturing process that produces it and the finished product’s recyclability and re-use potential. She also has students compare the sustainability of older products compared to newer ones. 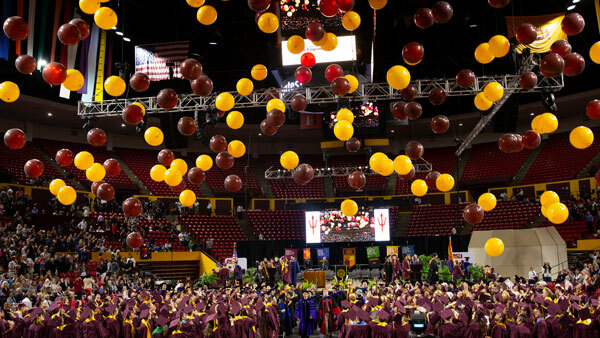 The Carnegie honor “is a prestigious award, and it underscores the value of what Amy brings to ASU’s engineering schools,” says G. Edward Gibson, director of the School of Sustainable Engineering and the Built Environment. Landis earned an undergraduate degree in chemistry from Denison University in Ohio. She earned a master’s and doctoral degree in civil and materials engineering from the University of Illinois at Chicago.